Soft Cover; 8.5" x 9.5" format; 288 pages. 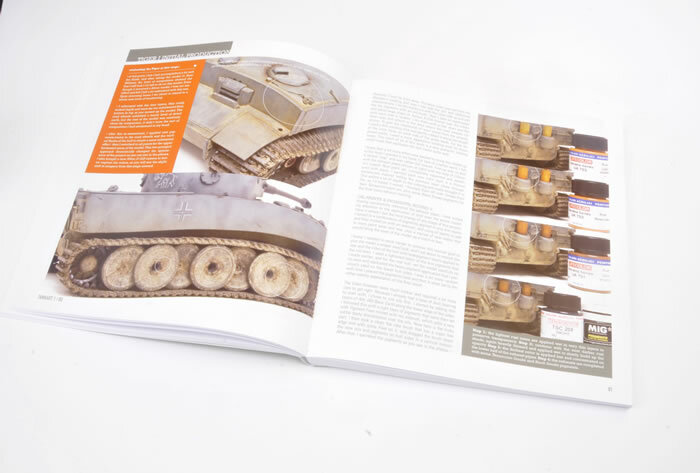 Superb standard of painting and weathering; bright and large photos; useful and detailed captions and text; includes five excellent step-by-step tutorials for finishing WWII German armour. 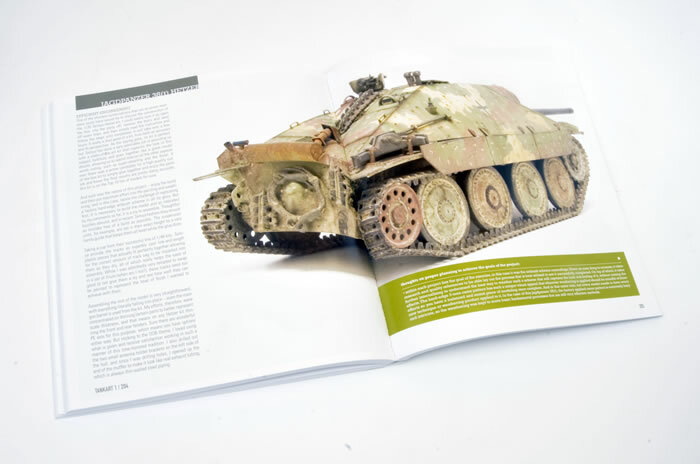 Tank Art 1 – WWII German Armor is a fantastic guide to painting and weathering the Rinaldi way. 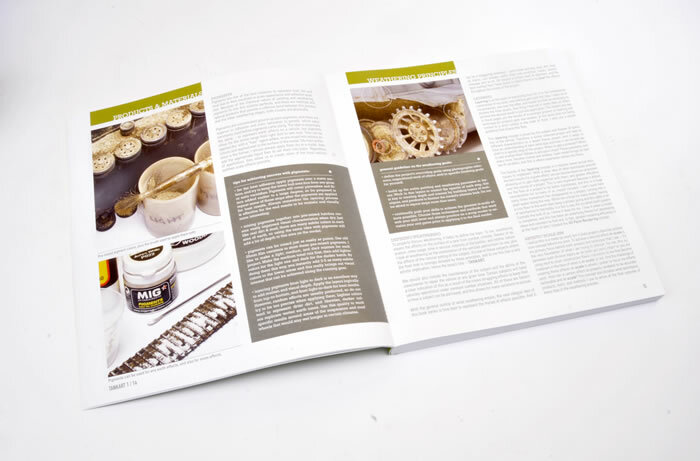 The techniques are extensive, the subjects widely varied, the photography and presentation first rate and the text ably supports the images. Highly Recommended. 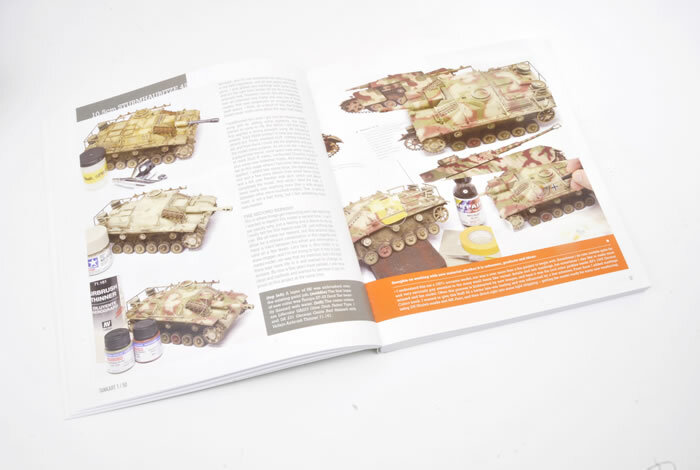 Mike’s painting and weathering techniques are particularly striking, so it was hardly surprising when Mike launched his “Tank Art” series of books back in 2013. The first subject was German Armour. This was followed up by two more volumes on Allied and Modern armour, and an all-new Volume 4 continuing the theme of German armour finishes. The sub-title to this series debut is “A Guide to Painting and Weathering WWII German Armour”. 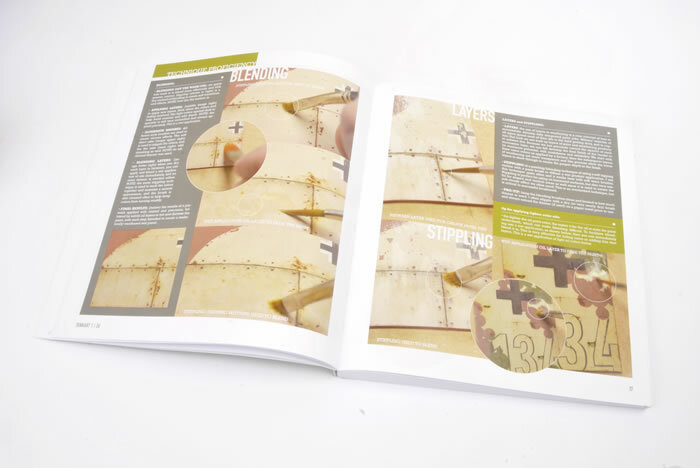 The book succeeds superbly in its stated aim as a step-by-step painting and weathering guide for modellers. The newest addition to the series is a third revised version of Tank Art Volume 1, German Armor. This revised volume is presented as usual in a squarish format but has been expanded from its original 208 pages of glossy, high-grade paper to 288 pages. The contents are broken down logically, commencing with Products and Materials before moving on to three Chapters discussing specific techniques - Weathering Principles; the increasingly important Hairspray Technique and Oil Paint Rendering. The revised contents now comprise eight master class examples of painting and weathering – up from five in the original. Mike uses these models as the blank canvas to demonstrate his wide range of techniques. The eight models are a 10.5cm Sturmhaubitze 42, Befehls Panther Ausf. G, Tiger I Initial Production, Hetzer, Sd.Kfz.251/21, Sd.Kfz.251/22 Pakwagen, Panzer IV mit 8.8cm Flak 37, and a Panzer IV Ausf. 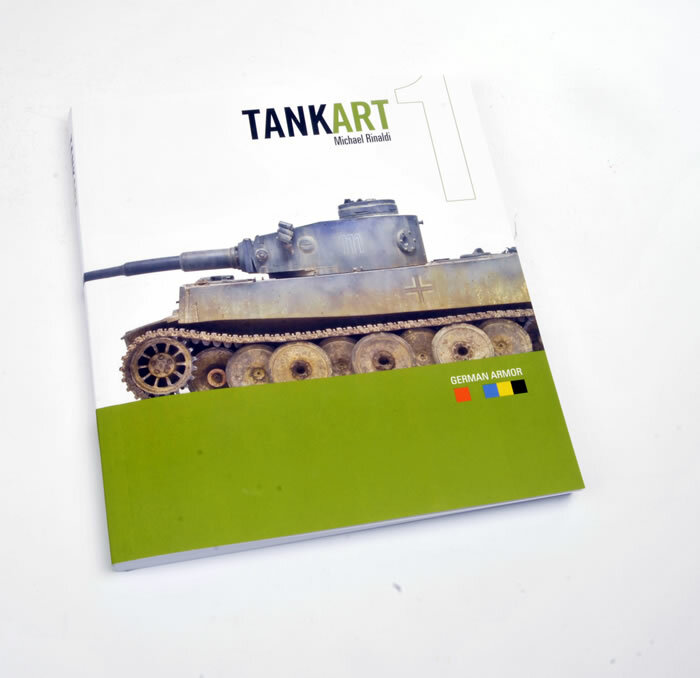 E.
The original Tank Art 1 – WWII German Armor was a fantastic guide to painting and weathering the Rinaldi way. This volume offers even more schemes, pages and information. The techniques are extensive, the subjects widely varied, the photography and presentation first rate and the text ably supports the images. If you are looking for a step-by-step guide to obtaining high quality German WWII painting and weathering finishes, this really is the ideal one-stop manual.